A lovely little city located on Hampton Roads in Virginia, Virginia Beach is all about the beach-head on the mouth of Chesapeake Bay, opening into the Atlantic Ocean. The most populated city in the state of Virginia, resort is a term more suited for Virginia Beach than anything else. There are endless miles of beaches, accommodations littered all over, plenty of sea-front restaurants and a lot of beach-based competitions that make Virginia Beach one of the most-visited destinations in the United States. Getting to Virginia Beach, and staying there, should be a pleasure so the climate has a massive role to play. However, the weather is quite drastic, to say the least, for a “beach resort”. The summers are hot and humid with highs averaging around the 300 mark. In winters, the early-single digits are, pretty much, the low points while snowfall, yes in a beach resort, isn’t uncommon. The humidity and proximity to the Atlantic Ocean ensures regular rainfall throughout the year, while at other times, the Sun is out almost all the time. 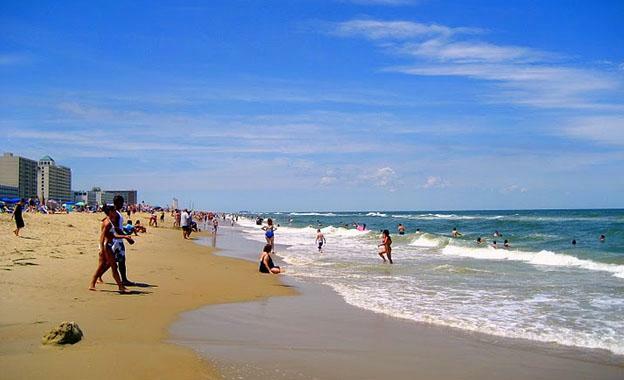 Planning a day at Virginia Beach isn’t that hard a thing to do. There are endless lines of beaches to enjoy while restaurants, bars and clubs line the streets right next to the beach. After an endless day of sunbathing, ocean-dipping and water sports, a few seconds’ walk takes tourists to the wonderful sea-food restaurants, burger bars and cocktail havens right next door. Food and drinks lead to dancing and nightclubs are peppered all along the beach-line, ensuring a late night’s end to a wonderful day at Virginia Beach. However, that isn’t all there is to the city and some of the most interesting aspects are away from the beach and towards the more traditional and historical locations in the city. 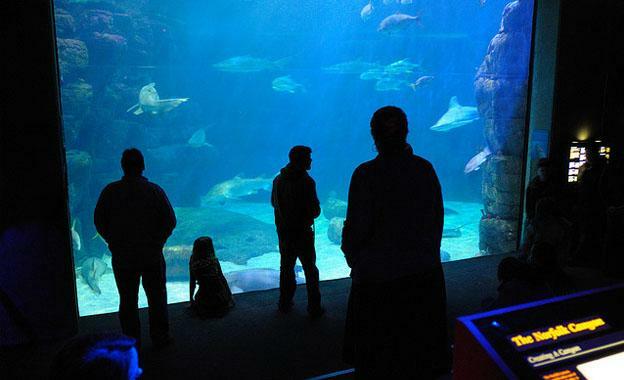 The Virginia Aquarium and Science Museum is a fantastic place to take the kids, with the Norfolk Canyon Aquarium and the Sea Turtle Aquarium offering a unique view into the lives and life-cycles of some amazing marine creatures. The Virginia Beach amphitheatre has been the venue for a number of musical events such as bands like Cold Play as well as hosting an Ozzfest. The Sandler Centre seats 1,200 people through some incredible performing art shows while the Adam Thoroughgood House is one of the oldest surviving buildings in the state. There are some wonderful old buildings like the Cape Henry lighthouses or the DeWitt Cottage as well as some Chesepian homes made out of natural materials. The city is a massive part of the American military’s training programmes and a number of naval & military bases allow for hours of endless fun. For those looking to dwell into the history and culture of the state of Virginia and Virginia Beach, the city is a treasure-trove of knowledge and adventure. The Courtyard Hotel is a paradise for those who are looking to stay a bit further away from the crowded beaches and be closer to the wonderful city. Just of the 64 and 264 interstate freeways, the Courtyard Hotel is right next to the Norfolk Naval Base as well as the Little Creek Naval Amphibious Base. The Norfolk Botanical Gardens almost share a wall while the Fort Story Army Base is also next door. Built primarily for business travellers, the hotel has a number of amenities that include fully-equipped meetings rooms and a massive business centre. The rooms are quite luxurious, at the Courtyard Hotel, and come with ergonomic chairs, voicemail and other modern amenities. The hotel also has an outdoor swimming pool, a whirlpool and a fitness centre to add to its wonderful Courtyard Café. Just a few seconds from the beach, the Crowne Plaza Hotel is ideally placed for those looking to have a good time in Virginia Beach. Mount Trashmore Park and the Ocean are just a few steps from the hotel while Norfolk Scope and the Little Creek Amphibious Base are also close to the hotel. For those looking to hit the business district, downtown is just a mile from the hotel. At the Crowne Plaza, every room is a pleasure to stay in, with the hotel adding a wonderful swimming pool, whirlpool and sauna to its list of amenities. The hotel has a 12,000 sq. ft. event space to add to its business centre, ensuring something for everyone who stays at the hotel. 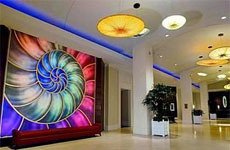 The Hilton Hotel is placed right on one of Virginia Beach’s many ocean-front locations. Just a few steps from the hotel, guests can find the wonderful Virginia Boardwalk with its restaurants, cafes and much more. 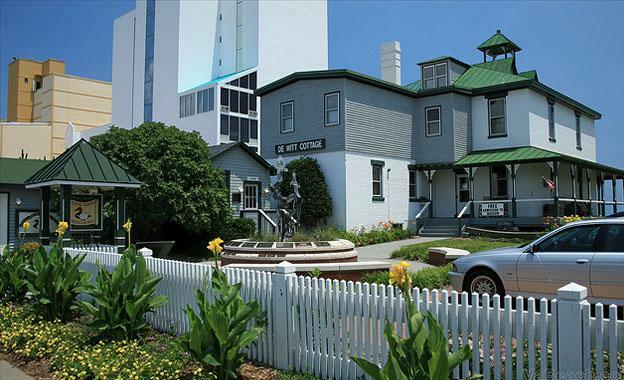 The Cape Henry Lighthouse is just a few minutes’ walk from the hotel, as is the Contemporary Art Centre of Virginia as well as the First Landing State Park. 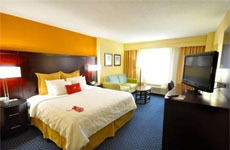 The Norfolk airport, as well as the business district, is just a 10-minute drive from the hotel. 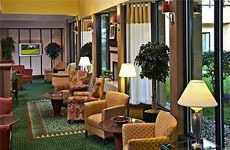 The hotel has 290 rooms, each with a fantastic set of amenities and luxuries. The view from the hotel’s rooms is just breathtaking, while the three-swimming pools and restaurants are ideal for those looking to laze around in the lap of luxury. From a bar that offers a magnificent view of the ocean to the full-service business centre, the Hilton Hotel has it all.